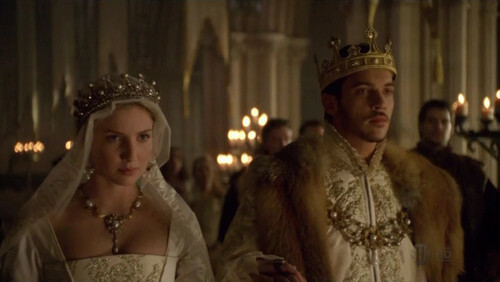 King Henry VIII & 皇后乐队 Jane Seymour. . Wallpaper and background images in the The Tudors club tagged: the tudors tv show screencaps timeandfate queen jane seymour annabelle wallis johnathan rhys meyers wedding king henry viii.